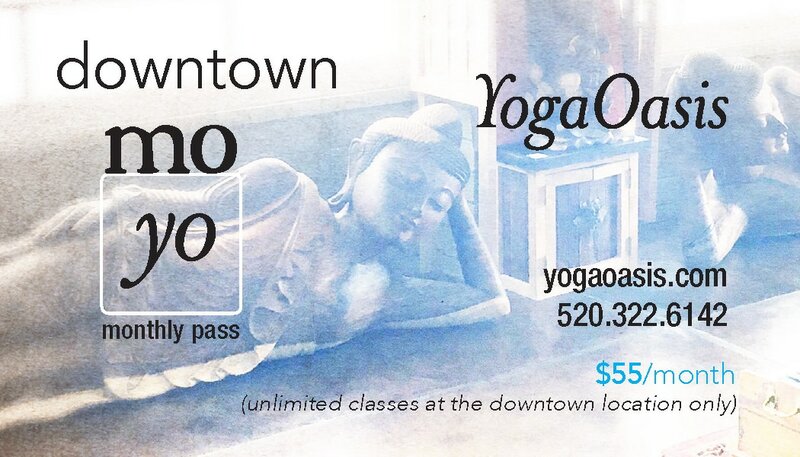 Enjoy unlimited classes at the YogaOasis Downtown Location. Practice 3 times per week or more and SAVE $$! *unlimited classes at the YogaOasis downtown location only. Available for purchase anytime. Purchase at the studio or by phone. One month starts at the date of purchase. For example, if you purchase your downtown moyo on May 4th, it would be good through June 4th. No refunds, transfers, or extensions. Does not include classes at Yo Central or Yo East or special events/workshops. No contract required!